Photographers looking to create that dreamy bokeh look in their images have another tool to consider. Leica has reimagined its classic Thambar-M 90mm ƒ/2.2—originally released in 1935 as the Thambar 9cm ƒ/2.2—giving the soft-focus telephoto lens for people and landscape portraits an update. Featuring an optical design comprised of 4 elements in 3 groups, the lens features a 20-blade aperture, as in the original. The Thambar-M 90mm includes a lens hood, center-spot filter, and front and rear lens caps, all manufactured from metal, plus a leather lens case. 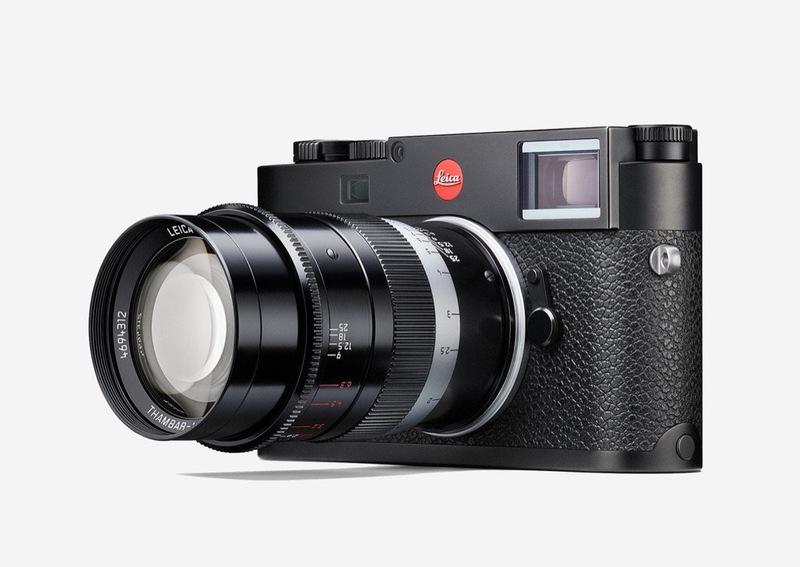 It’s compatible with all Leica M cameras. The lens is scheduled for a mid-November 2017 release, priced at $6,495. October 17, 2017 – A legend reborn: Leica Camera has expanded its lens portfolio with the Thambar-M 90 mm f/2.2, a revival of its legendary lens that has, for years, intrigued collectors and photographers alike. Originally produced in 1935, the Thambar is available once again and distinguished by its characteristic soft-focus effect and unmistakeable bokeh. While modern lenses typically strive to achieve the highest levels of sharpness and clarity, the Thambar-M 90 mm f/2.2 is all about ‘the look.’ The Thambar lens is known for its ability to capture portraits with a signature aesthetic that cannot be reproduced in basic digital post processing. Its focal length of 90 mm and optical design together give photographers the perfect tool to compose images with a romantic look and narrative in mind. The design of the original Thambar lens has been almost completely preserved in today’s Thambar-M 90 mm f/2.2. The black paint finish, the proportions of the lens and its aperture engravings in red and white are nearly identical, while slight modifications align with the minimalist design of modern M-Lenses. The knurling, lettering and scales, and the specific use of sharp edges and beveling underline the precision of the Thambar-M’s industrial design. The most pronounced difference between this lens and the original is the single-coating to protect the glass against environmental influences and surface corrosion, ensuring this new incarnation can live a long life under heavy usage. “The name Thambar has always been preceded by the adjective ‘legendary’ – rightly so. It portrays people with a wonderful aura, in a romantic way – but landscapes too are raised to a higher, incomparably aesthetic plane. The addition of a new incarnation of this classic lens to our selection of vintage lenses was one of our greatest wishes – to my great delight, this wish has now been fulfilled,” emphasises Dr. Andreas Kaufmann, majority shareholder and chairman of the supervisory board of Leica Camera. 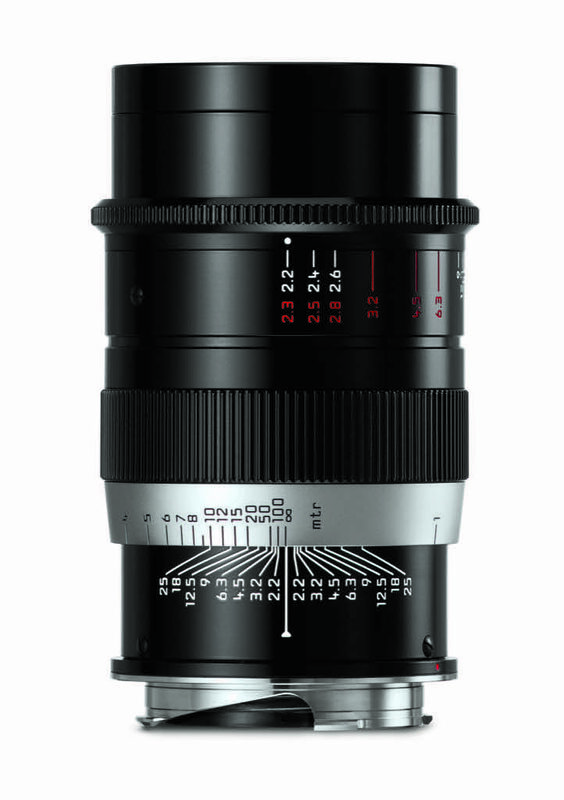 As is the case with all Leica lenses, the Leica Thambar-M 90 mm f/2.2 is manufactured in strict compliance with Leica’s stringent quality criteria to ensure a long working life. The lens hood, the ring of the center-spot filter and both front and rear lens caps are made of metal and even smallest details, like the felt lining of the lens hood and the front cap, contribute to the exceptional quality of this lens. The design of the rigid leather lens case, finished in a ‘Vintage Brown’ is identical to that of the original from 80 years ago in almost every respect. As in the past, the center-spot filter can be safely and conveniently stowed away in its lid. The Leica Thambar-M 1:2,2/90 will be on sale at Leica boutiques, stores, and dealers beginning mid-November 2017. Visit Leica for more info. 1 Use with the Leica M8 models is not recommended since the optical properties do not suit for smaller formats than 35 mm (24×36 mm).